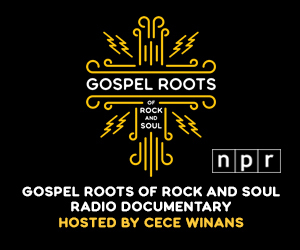 Join Raven Radio in celebrating Black History Month with Gospel Roots of Rock and Soul, a new documentary series that explores the history of black gospel music and illustrates its significant influence on the formation of rock and soul. The three-part series will air 7pm Sundays for the rest of February. Hosted by Grammy award-winning gospel singer CeCe Winans, Gospel Roots of Rock and Soul features in-depth interviews with artists and dozens of songs (including many archival selections). The series starts with the history and foundation of black gospel from spirituals, and how those songs informed the music of the great gospel quartets. In examining how rock, soul and R&B grew from the roots of gospel, it highlights such highly influential artists as Sam Cooke, who transitioned from gospel to secular music; Sister Rosetta Tharpe and her early rock stylings; and Elvis Presley, who helped expose white audiences to gospel music. Examples of some of the most beloved contemporary pop music of the last 60 years from artists such as Aretha Franklin, Paul Simon, and Ray Charles illustrate gospel music’s influence. Gospel Roots of Rock and Soul is produced by Philadelphia public radio station WXPN and distributed by NPR. For more information, visit http://xpngospelroots.org.